In the South Asia, major rivers, like the Ganges and the Indus, are key to people's livelihoods and cultural heritage, but are among the most polluted rivers in the world. These life giving rivers can also flood in the rainy season, causing damage and death. WLE is working to improve water quality and regulation for better food security, nutrition and livelihood security for farmers in a variety of landscapes, from mountains, to plains, to river deltas. It is also working to increase the resilience of urban and rural populations by improving water management in the region. Variability in water supplies stemming from seasonal and climatic changes cause, in turn, catastrophic floods and droughts in the region, leading to damaged crops, property loss, and death. WLE is researching ways to help reduce the impacts of these variability events and improve the resilience of the rural and urban poor. There are serious water quality and quantity issues that plague South Asia, including severe pollution, deletion of groundwater and inequitable water distribution. If there is to be enough safe water for agriculture, industry and household use, then improving water management will be critical. Many men are leaving the rural areas of South Asia in order to earn money in urban centers and other countries. This means that women are increasingly in charge of managing family farms. Instead of finding this role as head decision-maker empowering, many women are burdened with societal stigma, a lack of land and water rights, and limited access to markets, adding to their already significant burden. Colombo is one of the first 18 cities that has been accredited as a Ramsar Wetland City at the 13th meeting of the Conference of the Parties to the Convention (COP13) held in Dubai, United Arab Emirates on October 25, 2018. Raman Parmar, 48, a farmer of Thamna village Gujarat’s Anand district had become the country’s first solar power farmer. By connecting a solar powered irrigation pump to an electricity grid, Raman had received the first payment for his ‘solar crop’ in the form of a cheque of Rs 7,500 from the International Water Management Institute (IWMI). 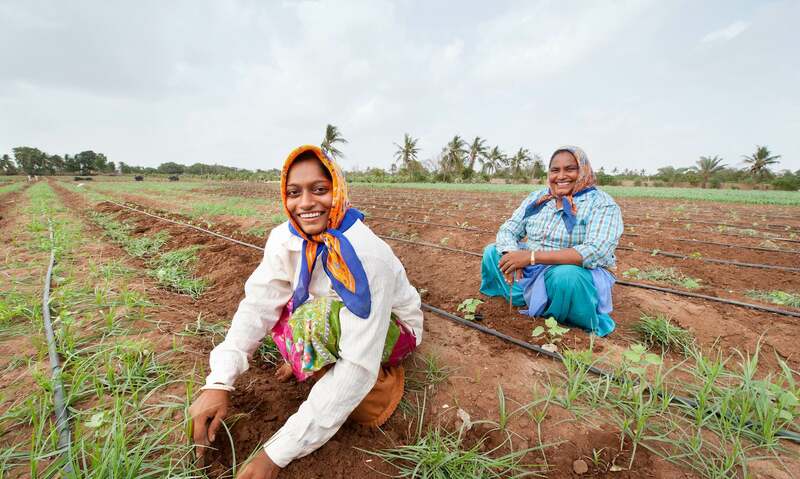 Against a backdrop of worsening vulnerability to climate-related risks in India’s agriculture, the International Water Management Institute (IWMI) is launching a mobile app, called AgRISE, in support of a new national agricultural insurance scheme. “As PM will inaugurate our project, we will start selling surplus energy to the grid and become first grid connected farmers’ SPICE,” said Labhubhai Patel, secretary of the mandali which has started using solar energy since December last year.